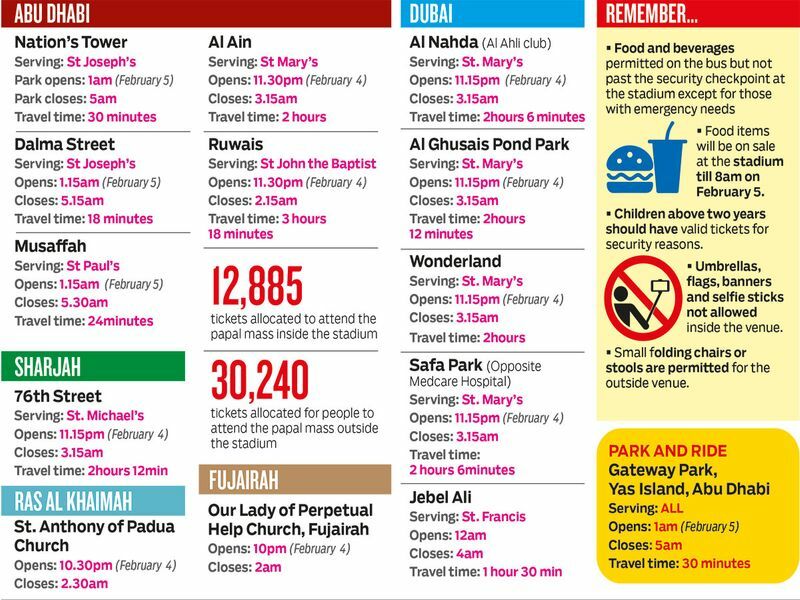 Dubai: A total of 14 Access Hubs across the country and a Park and Ride facility in Abu Dhabi will be serving the Catholic faithful attending the Papal Mass for free on February 5 at the Zayed Sports City Stadium. Five access hubs for those taking free bus rides from Dubai have been allocated at Wonderland near Al Boom Tourist Village, Al Nahda, Al Ghusais Pond Park, Safa Park and Jebel Ali. Four access hubs have been allotted in Abu Dhabi, two in the main city at Nation’s Tower and Dalma Street. One access hub is assigned in Musaffah to serve St. Paul’s Church and another one in Ruwais to serve the faithful from St. John the Baptist. Al Ain, Sharjah, Ras Al Khaimah, and Fujairah have one access hub each. Those who wish to travel to Zayed Sports City using their own vehicles may use the Yas Gateway park-and-ride facility located at Yas Island. The facility has parking spaces for 10,000 cars. Shuttle buses will operate out of this park and ride facility. Most access hubs will open late night on February 4, especially in Ras Al Khaimah and Fujairah to reach the stadium early morning on February 5. There are no parking spaces near the access hubs, organisers of the Papal Mass said. All Papal Mass attendees must bring their Papal Mass tickets and chosen Transport tickets to be able to use the facilities. 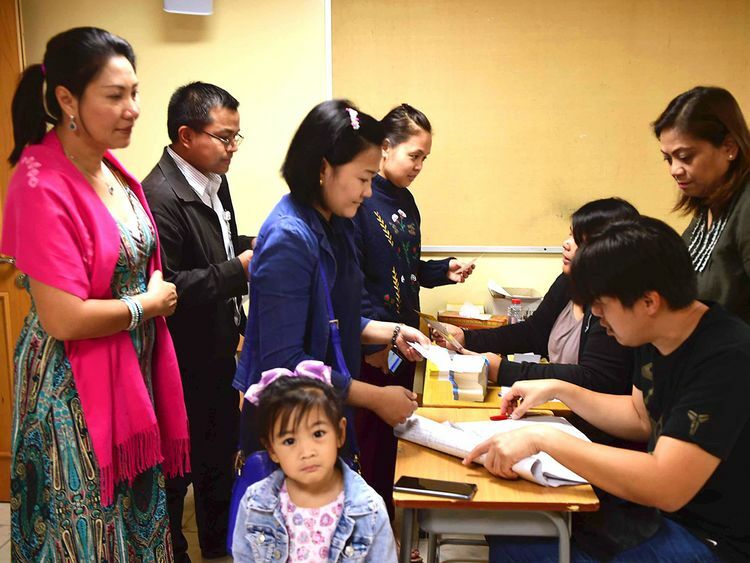 Changing access hubs is not allowed, organisers said. The public are advised to reach their access hubs early according to the designated time in their ticket to guarantee a seat. Those who arrive after the parks close will not be served.